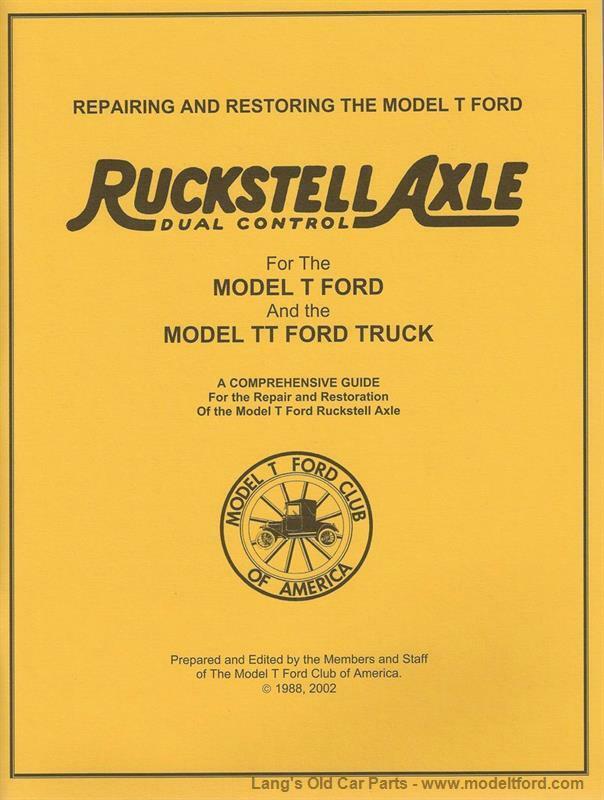 Ruckstell Rear End, Repairing and Restoring the Model T Ford by Milt Webb, Glen Chaffin, and Bruce McCalley. 38 page repair manual, includes many photos and illustrations info. not previously available, very detailed, a must for rebuilding. Applies to all Model T rear axles, not just Ruckstells.